In the middle of winter, what could be better than a holiday that encourages you to cozy up with someone you love? Valentine’s Day may have a bad reputation for being just a “Hallmark holiday” but finding a unique and creative way to celebrate this love-centric holiday can bring you closer to your sweetheart or friends. 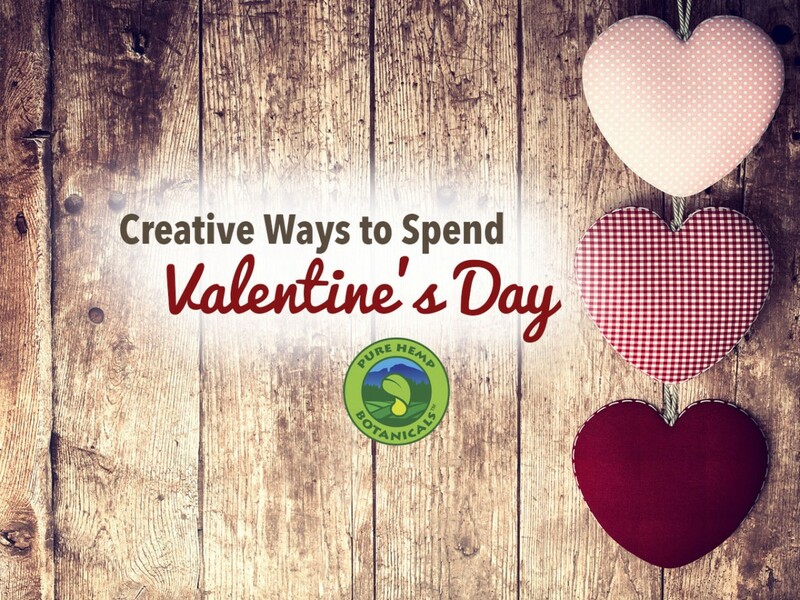 If you are looking for inspiration, try one of these five creative Valentine’s ideas to make the holiday more meaningful this year! Remember the childhood valentines you slipped to your crush and passed out to your friends with cheesy lines like “you’re the scrunchie to my ponytail” or “I mustache you to be my Valentine”? Whether you’re single or coupled, reconnect to your inner child by pulling out your stash of construction paper and making corny valentines for the people you love. If your recipient has a sweet tooth, glue on some foil wrapped chocolate hearts or tape on a heart shaped sucker. Don’t be afraid to make up silly puns or incorporate funny pickup lines. Making someone you love smile will brighten their day and yours. If you want to make your valentines more meaningful, write down some of the things you love about each person inside their card. The classic montage in romantic comedies—with cute scenes of the couple doing different activities together—may be cliché but it also looks fun. If you are looking for a creative way to celebrate Valentine’s Day with your partner, pretend you’re making your own romantic montage. Plan a day packed with different activities! You can fill your itinerary with your favorite pastimes or use it as an opportunity to visit new restaurants and see new places in your city. Feel free to get off track with an impromptu snowball fight or act like tourists by snapping photos in front of local monuments. Be sure to capture moments from every place that you visit so that you can create your own romantic slideshow or chatbook afterward. If an evening in is more your speed, transform your home into a destination that you and your partner would love to visit. Perhaps you’ve been dreaming about going to Paris or renting a secluded cabin in the mountain. If you can’t travel there right now, find some decorations at a thrift shop, dollar store or online that you can use to make your home feel like the getaway you’ve been dreaming about. Keep up the illusion by making or ordering food that fits the theme. With good planning and a little imagination, the two of you can enjoy a memorable staycation together. Many different charitable organizations have begun to use Valentine’s Day to raise awareness for a good cause and people who may need some love. If you’re passionate about putting compassion into action like us and want to do more than just celebrate with your loved ones this year, consider participating in a run for charity like Cupid’s Undie Run. Who knows, if you’re single, you might just meet your next Valentine on the race track. We’d love to hear your Valentine’s Day stories! If you use any of these ideas, tell us about it in the comments!